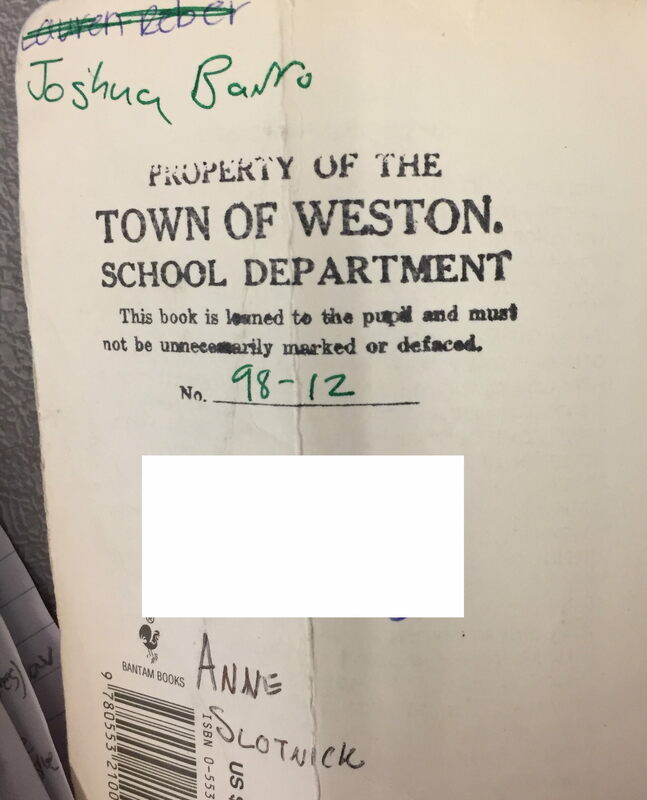 While clearing out my personal belongings from my office and my classroom (it’s amazing how much stuff one can accumulate in 21 years) I came across a copy of The Scarlet Letter that some miscreant had abandoned in our office. (That’s the Math Office, folks. Go figure.) Inside the front cover are the signatures of two of the previous readers of this copy, both of whom happen to be former students of mine from an earlier decade. Sharing the spotlight are our already-famous alumnus Josh Barro (who needs no introduction) and our soon-to-famous alumna Anne Slotnick (incoming theater director and teacher of theater arts). What a distinguished combination! ‹ How do you get teachers to smile?